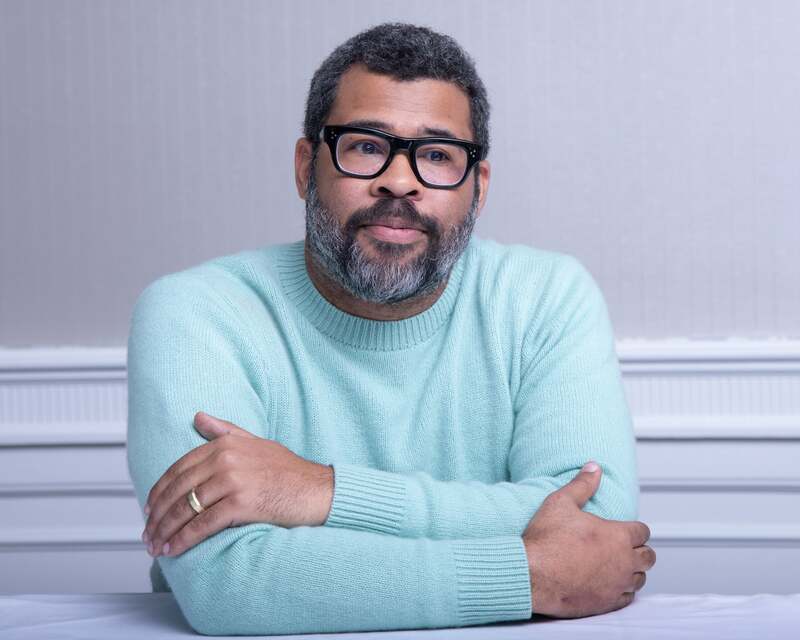 Ever since his directorial debut with Get Out Jordan Peele has been carving out a unique artistic terrain altering and subverting familiar formulas. With his new film Us, he has made a horror film with a black family as the leads. Us, however, is not about being black as much as it is about the all-American family facing their fears and the biggest fear of them all: Themselves. In Us, the apparent normalcy of affluent middle-class existence is shattered by the appearance of subterranean doppelgangers who terrorize a vacationing family. The tropes are strictly horror but like with his surprisingly successful debut film as Peele is also interested in social subtext. Because, as Peele says, “the privileges that I and we enjoy as Americans are built on the backs of atrocities, and of people who suffer and have suffered for us to have,” the scary monsters in Us embody the bad conscience of a complacent society. In his films, the comedian previously known mainly for the Comedy Central sketch series Key & Peele has found an outlet for what he calls giving to voice the voiceless. As a director of Us as well as the producer of BlacKkKlansman and the upcoming reboot of The Twilight Zone. You have said that Us was inspired by The Twilight Zone episode “Mirror image” about the doppelgänger mythology because it frightened you. What is your movie about? The premise of the movie is about a family that goes to their summer home and there they are ultimately confronted by their doppelgängers – a monster called the Tethereds. The reason I created this movie stems from this notion that we are our worst enemies – as individuals but also as a society and as a group. One of the main problems with certainly the United States and many other countries in the world right now is that there is lasting and emboldened xenophobia. There is a fear of the outsider, of the invader, and of the other. This movie is about the fact that the true enemy has our faces. What drew me to make this film was the idea that we are in such a finger-pointing mode these days. We are all about that in social media, with the state of politics. Everybody points a finger first. It seems like the piece of conversation that has been suppressed is taking a look at our own part in the mess. It was definitely a piece of conversation that I feel and felt was not happening. How am I to blame for where things have gotten? This film is not about race thematically. But I have never seen a horror movie about a black family like this. It is an example of systemic racism and lack of inclusion. I think it was an important movie on that level as well. So it is not a film about black people per se – and about black people being their own worst enemy? Correct. It is about all of us really. Like I said: as individuals and as a group. This is a family of Americans. The fact that they are African-American is not really what the movie is about. It is more about the country. It is about human nature. Why is what is funny and scary so closely connected? I believe that any emotion and any conversation that we suppress – meaning that we don’t let it bubble to the surface - is like a ticking time bomb. It is only a matter of time that there is an explosion. We need to face these things. That is the very nature of fear: We try to block it out. We try not to think of the things that we are scared of. We try not to experience that emotion. 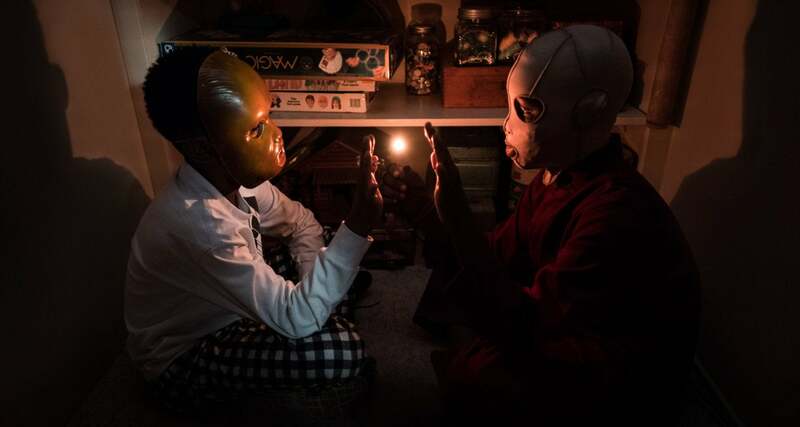 So I believe that horror and comedy are connected in that when you figure out how to crack that emotion or conversation wide open, it creates an explosion and then we are having a social catharsis. That operates on a micro-level for me – you only laugh and you are only afraid of things that you are trying to ignore on a conscious or subconscious level. Talking about fears. Is your own biggest fear yourself? No, but in some way yes. I think our own feelings of guilt and inadequacies - that can really haunt us. Every film I do I try to start with something that scares me and figure out why. With this movie, I felt that the notion of meeting yourself or seeing another you is primal. It is something that feels not only unnatural but it carries connotations that run deep culturally. Doppelgängers have been in mythology in all cultures throughout time so there is something about facing your inner demons that I think is universal and primal. Jordan Peele on the set of Us with Elsabeth Moss and Lupita Nyong'o. What do you hope to achieve with your thrillers? I love movies that entertain but also spark a conversation or help push a conversation. Sometimes that conversation is ugly but even if it is ugly, it is important. So that is what I want to do with all my films and all my projects. I want to voice the voiceless. I want to stand up against bigotry and hatred, sexism and the bullies of the world. And entertain in the process. Get Out was a huge hit. Were you surprised by how the audience reacted to it? In some ways, I was, yes. I loved the movie and I felt like if someone had made that movie for me to watch I would have had a similar reaction. I think what really surprised me was that there was a lack of backlash or hate surrounding the film. I like to think that it is because there was an undeniable truth embedded in the interactions in the story and in the plot that people responded to. That is to say that a lot of people that I imagined would have a visceral hatred of the film responded to it and that was surprising. Taught me a lesson. You are making a remake of the classic paranormal series The Twilight Zone. What is your relationship to the original? I am an executive producer and I rolled up my sleeves in the story phase as well as the editing phase. I am also the host, so deep shoes to fill there since I am such a fan of the original series.